We've brought world-class personal training and goal-focused fitness solutions to Roanoke, VA. 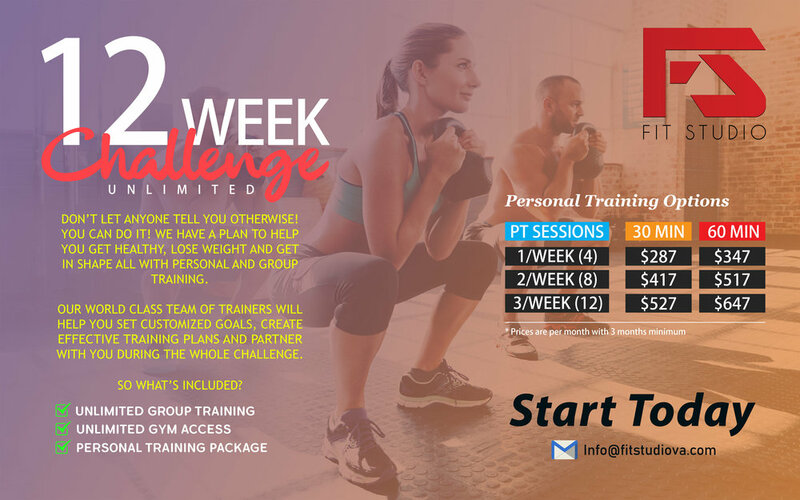 Fit Studio was created to address a widespread problem with traditional gym memberships...and you've heard us talk about it already...we just know a one-size-fits-all approach to individual fitness isn't going to work. That is why we don't sell price like the other guys. We sell results. We sell support. We sell partnership. We don't want to only see you for the first month of your New Year's resolution every year...we want to help you fulfill a new life resolution that leads to a lifelong, healthy lifestyle. Fit Studio is a well-equipped multi-functional gym experience for men and women alike. With a personal and group training focus, we create sensible, achievable, goal-based plans for each client. We provide support, and world-class training not found elsewhere in Roanoke, Salem, or anywhere close. Our staff of committed, certified personal trainers are committed to learning your goals, making a common-sense, effective plan to help you achieve your goals, and walking with you through each step of the process. We feel that our personal trainers go above-and-beyond with the personal attention that really sets Fit Studio apart. We offer free no-pressure, no-obligation consultations with a personal trainer to see if Fit Studio is right for you...if it isn't no problem! However, we feel like our offerings at Fit Studio provide three compelling solutions, no matter your fitness goals! Whether you are looking to tone up, get in shape, lose weight, eat healthier, or take your fitness level to the max, we'd love to tell you about the programs we have to partner with you in your journey! And is it weird to say that you'll be impressed with our locker rooms? It might sound weird until you see them, and then you'll see what we mean. They're mighty nice. I mean, who doesn't love a comfort or two? It is time to start a lifetime of fitness.